I read this article and found it very interesting, thought it might be something for you. 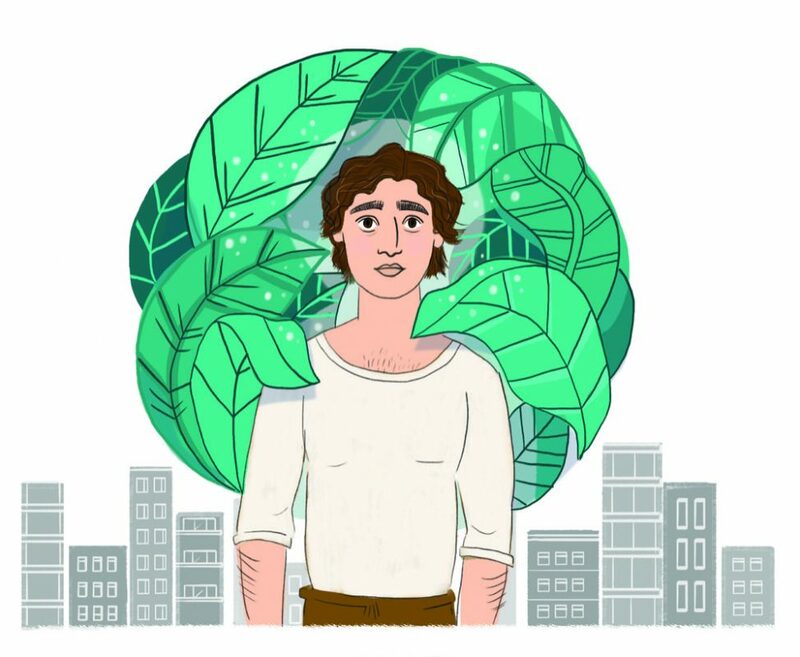 The article is called Cinema Review: Happy As Lazzaro and is located at https://www.totallydublin.ie/film/cinema-reviews/cinema-review-happy-as-lazzaro/. Set in the Italian hills of Inviolata in the late ’70s, young Lazzaro (Tardiolo) is just one of 54 farmhands working an illegal tobacco plantation. This tightly run ship is watched over by landowner Marquise Alfonsina de Luna (Braschi) and her slick rick henchman Nicola who makes sure the workers stay in debt and never see a wage. Lazzaro’s existence is that of worker and simpleton, told what to do and when to do it. He’s as obedient and charming as any dog by your side. It becomes very clear that the title is probably alluding to his spacey rather zen like nature rather than actual happiness. It’s not evident if he is accepted as merely the town fool or as an appreciated worker. The layers of exploitation peter downward ending at Lazzaro who is first overworked by his family, used by the Marquise and finally by her son Tancredi (Chikovani) – the bored rich boy in need of drama and excitement who drums up a kidnap plot as he hides in a cave with Lazzaro as company, only to be completely ignored by a mother familiar with his quirks. Others are not as convinced by such tomfoolery and concerned, the police are called to investigate. Lazzaro has an accident that knocks him unconscious and in his absence, his family have been carted off to the police station for registration. There they are being brought up to speed on the modern world; mandatory schooling, fair wages and the illegality of the tobacco plantation. The revelation of this mistreatment of the town’s people becomes known as The Great Swindle in the newspapers. Throughout the film, the symbolic nature of the wolf is used as something to be feared but it also acts as a saviour of sorts for Lazzaro, as his spirit animal. With the introduction of the wolf’s presence and Lazzaro’s awakening half way through the movie, there comes a tonal shift away from naturalism and into the realm of magic realism. This shift is not easy to adjust to, at first, but eventually it slips into place quite comfortably. Physically speaking, Lazaro hasn’t aged a day once he regains consciousness but when he meets old friend Antonia (Rohrwacher) and her family, a relocated ragtag band of merry gypsies, they have all aged a decade or more. Because he never seems to eat, the elderly family members are convinced the man before them is a ghost; are we as sure? Before long he meets his now bloated, ponytailed friend Tancredi, who has been reduced to a pauper amidst the ruin of his family and their business after the corruption scandal. 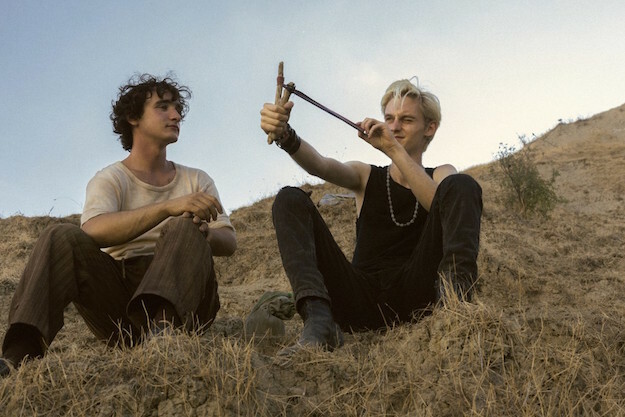 Can this introduction of Lazzaro back into their lives make a difference? There’s a touch of Terry Gilliam playfulness to this odd duality between fantasy and reality. Once it settles, Happy as Lazzaro works, thanks to its careful direction and sharp script, but it’s still hard to see why there’s so much critical fawning. It seems a tad unwarranted. Still, there’s nothing to dislike here, and despite a rather questionable final scene, at the very least this is a strangely enjoyable and bemusing spectacle.